Original Panini France 98 Iran sheet from UK. The only official stickers that have been released for the album. 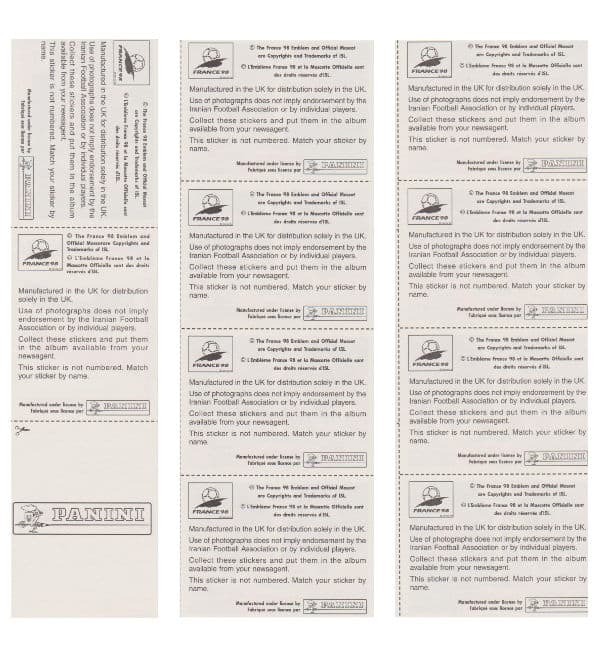 A publisher in UK printed these 10 stickers with a sublicense of Panini and issued it as an update release. 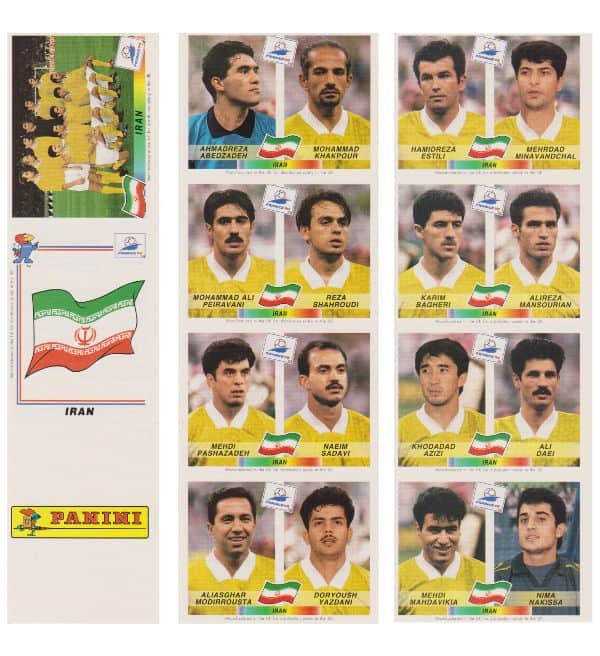 The France 98 Iran sheet was cut into three parts and is very rare and hard to get.